﻿Do you believe that your body is a temple for the Holy Spirit? Have you struggled to partner your faith to follow through on your fitness goals and create a lasting lifestyle? Would you like to join a tribe of women seeking to honor their temple, grow their faith, be fit for the call on their life, and develop a mindset through scripture that empowers them to do that all year long? Busy stay at home mom, dedicated wife, full time employee, teacher, volunteer, single mom, military spouse, working mom, grandparent, as women we all serve so many others. Caring for ourselves, while we care for everything and everyone else, should be a top priority. In this small group it is our hearts desire to work together to broaden our biblical perspective on our health, and deepen our disciplines toward them like we have for all the other important tasks we prioritize day in and day out. We will meet for 30 minutes Monday-Thursday, after opening in prayer, your leaders will cover the lesson, and close with real life applications to take that intent into your fitness journey and fitness goals for 2019. If you can't join us for the live stream, the lessons will be recorded and posted for you to join when it's convenient for you. Yes you read that right, no cost to you at all to join our tribe. It's our hearts desire to serve you in this way. The daily devotion and lesson will be posted in the exclusive Facebook group if you are not able to purchase the book. As women, we depend on the support, counsel, and wisdom of other Christians to encourage us to live a life that glorifies Him. In this group we will lead you to do the same, in your faith walk and fitness goals. After our time together, you will feel equipped with scripture and inspiration to live Fit for Your Call all year long. 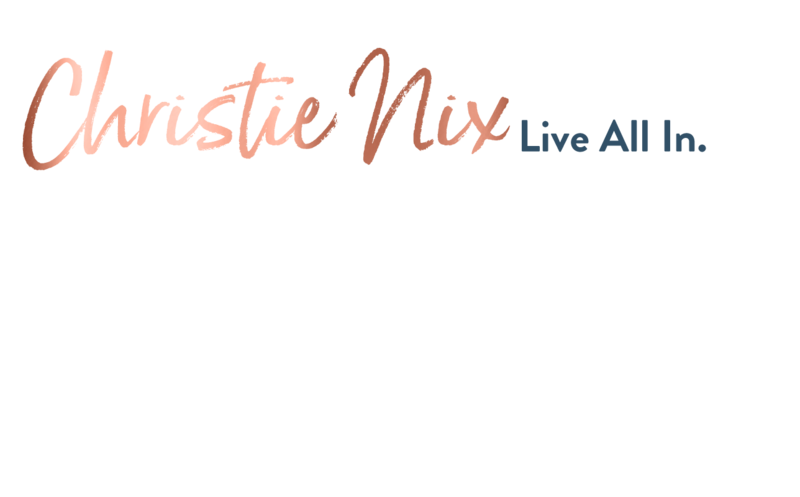 Christie Nix, creator of FitNix, ChristieNix.com and Fit for the Call e book, is a fitness expert, dual athlete in Figure, Fitness, and Powerlifting, busy mom of 3, and active duty Army wife for almost 16 years. Her faith has been the cornerstone that's helped her create a successful business centered around empowering women to LIVE #ALLiN, in every season of life. Hello everyone! My name is Gina Rodriguez. I am an army wife, mom to five sons, elementary school teacher and most of all a recipient of The Lord’s grace #everyday! I love being a learner of all things, especially topics concerning faith, fitness, and education. I have a strong bond with strength training, and strive to have others join me in learning to be healthy from the INSIDE out. I believe we each have our own story to tell and a purpose to be lived out in order to help be a blessing to others.